This diversion controller is the result of our many attempts to use the controllers currently on the market (offered by some of the largest names in the business), to work in conjunction with our wind turbines. None of the other diversion controllers on the market did what we needed a diversion controller to do. 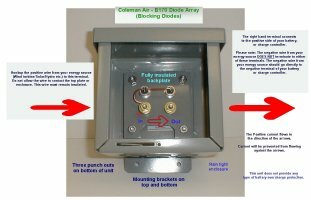 So we designed our own and added all of the features that are truly needed in a diversion controller. 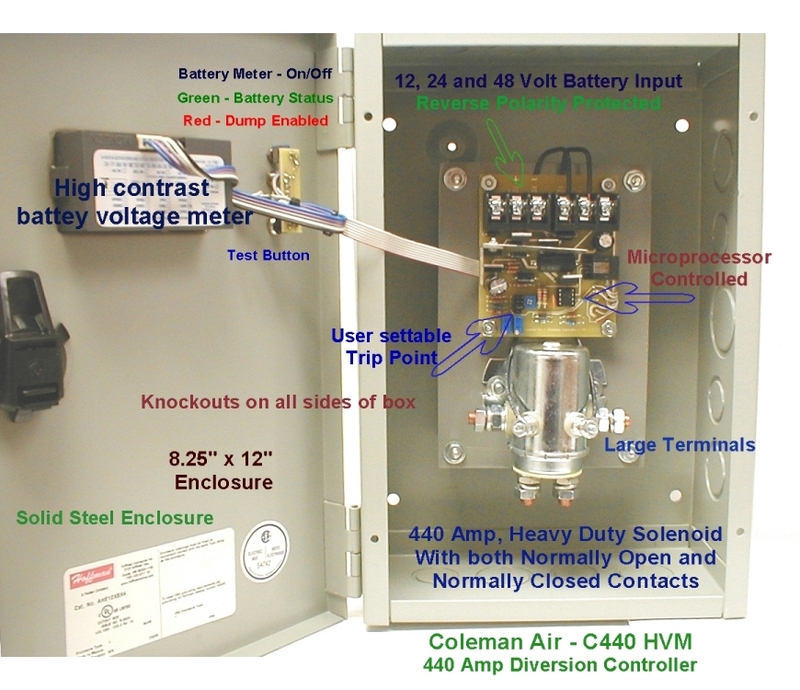 Built around a solenoid that we have tested (tortured) in-house at over 460 amps, this controller is user adjustable, has a large enclosure, microprocessor controlled, test button and battery status indications -- There is no other controller on the market like this one, well other than our own C440 of course. 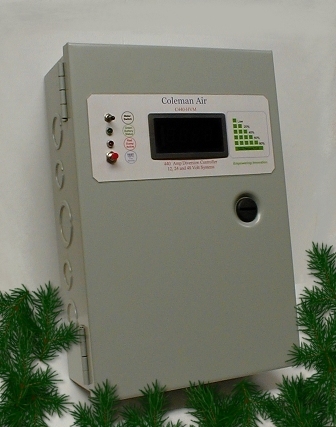 Click here for information on the SEA-440 relay and Coleman Air C440 testing. This controller works by either diverting the charge source to a diversion or "Dummy" load, or if you prefer, you can simply disconnect the charge source from the battery -- Works either way!. Microprocessor controlled -- This is very important for both stability and functionality. User changeable settings -- Several controllers on the market set the dump level, and that's that! Super High amp rating - 440 Amps -- 10,000 watts. Works directly with 12, 24 or 48 volt systems. -- The relay contacts can handle open collector voltages of up to 120 volts. 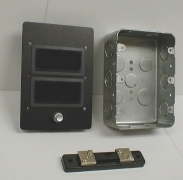 High Contrast LED battery voltage meter, with on/off switch. Battery status LED - Several controllers do not tell you what's going on - This one does! Push to test. -- Ever wonder if your controller & load are working OK? The electronics are fully isolated from the enclosure, no ground loops. Can divert the source from the batteries to the load, or dump both the batteries along with the source. Some specifics about the points made above. The microprocessor is the heart of the controller. It is given the battery voltage and the user changeable trip points. This information is analyzed and acted upon. Steady green means the battery is full. The dump remains active for a min. of 5 seconds, at which time it is checked by the microprocessor. If battery voltage drops below the "Dump Cancel " level, the dump is disabled, otherwise the dump is continued and rechecked every 5 seconds. Settings are user changeable! By simply turning a simple potentiometer with a small screwdriver, you can quickly adjust the trip point. High amp rating -- 440 Amps! -- 10,000 watts!! -- This is a MONSTER controller. 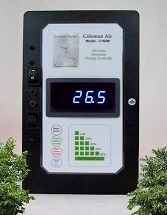 This controller is capable of handling the input from 166, 60 watt solar panels, or 10, 1000 watt wind turbines, or any combination of the two not to exceed 440 amps, 10,000 watts. This is a lot of control. The enclosure is heavy gauge, solid steel, ready to mount. -- No plastic, no junk, simple and rugged. 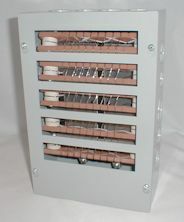 This Hoffman pull box is perfect for terminating larger wire. It has multiple knockouts on each side of the box. The box measures 8.25" x 12". The electronics are fully isolated from the box. Several schools of thought on the subject. The source of power (wind turbine, solar panels etc.) -- should remain connected to the batteries while the dump is active. The source should be diverted to the load directly and disconnected from the batteries. We happen to believe that is far better to leave the wind turbine connected to the batteries at all times. Why? 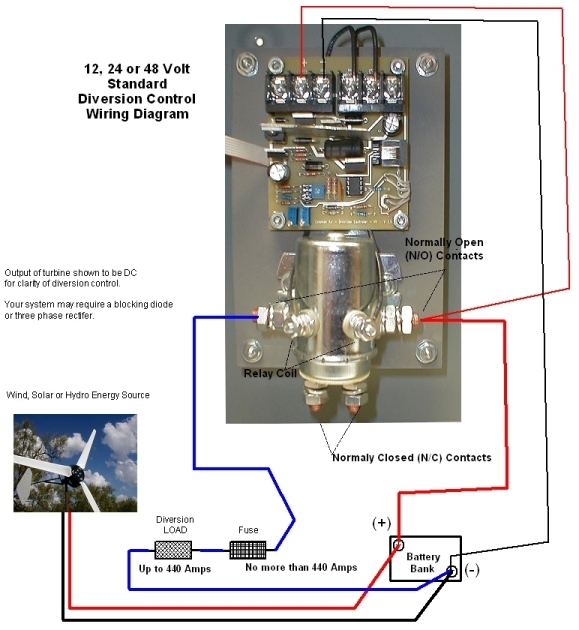 When you remove the battery level voltage from a wind turbine and send its power directly to a load, then it sees for all practical purposes a short circuit (depending on the resistance of the load and lead wires.) This may cause the turbine blades to slow dramatically and in some cases bring it to a halt. This braking action can cause heat build up in the stator if it is repeated every few seconds or so (if the battery is just a little over the top). When you allow the turbine to see the batteries, along with the load, the turbine remains more within its design realm -- always a good thing. 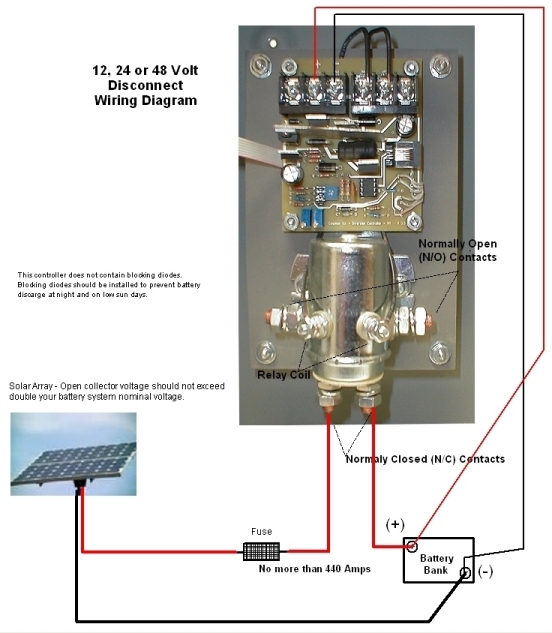 The internal relay is configured to dump the batteries along with the source, but if you desire to disconnect the source from the batteries and send it to the load directly, simply utilize the N/C contacts of the relay as well. We'll be happy to send you a diagram -- this is a very simple to accomplish. Can they handle 48 volt systems directly? Do they have battery status indication? Do they have a battery voltage meter with an on/off switch? Do they have a dump active indication? Are the dump levels user changeable? Do they come with a enclosure that's actually ready to use? Do they handle the amperage you need? Do they have a dump test capability? Are they reverse polarity protected? When you compare this controller to the others, you will see why we built it and why we know you'll love it. Ready to go. Simple, built to last, right here in the USA. Click here to download the 440HVM Diversion Controller Manual.